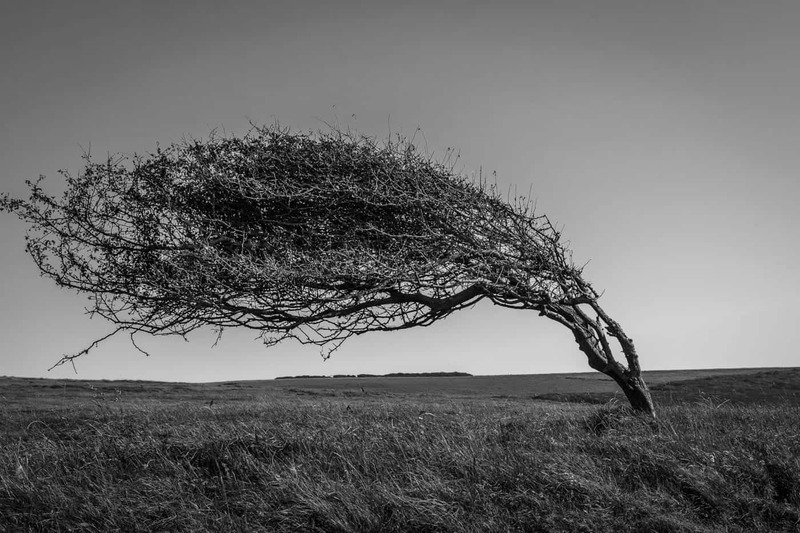 A tree torn and formed by the ever blowing at Seven Sisters in UK. The tree is a Hawthorn (Crataegus monogyna). Loving these wind blown trees. Trees need wind to blow against them because it causes their root systems to grow deeper, which supports the tree as it grows taller. What a fantastic tree and photograph!